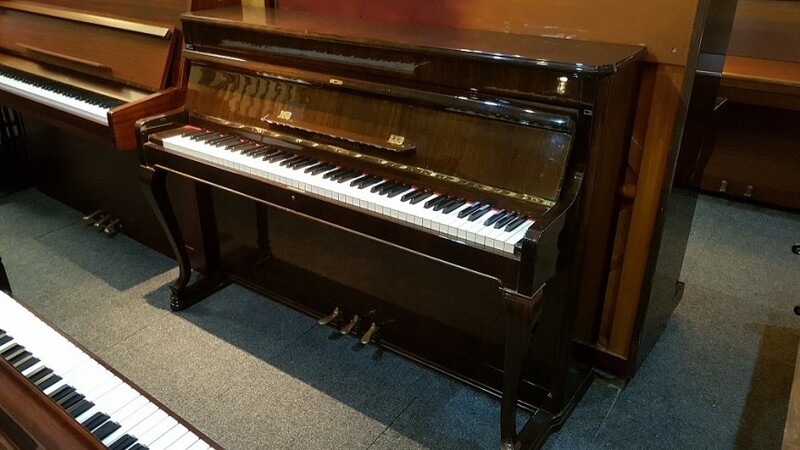 Our pretty piano comes in a high gloss dark rosewood case. This highly acclaimed piano was made in the Czech Republic by Petrof. The instrument has a third pedal for muted practice.